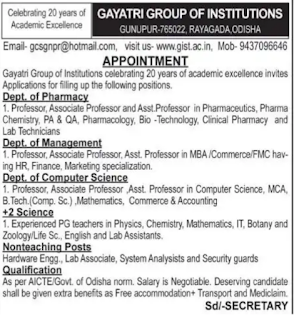 Gayatri Group of Institutions, Rayagada has advertised in the Sambad newspaper for recruitment of Teaching Faculty- Lecturer, Assistant Professor, Associate Professor,Non Teaching Faculty jobs vacancies. Interested and eligible job aspirants are requested to apply immediately. Check out further more details below. 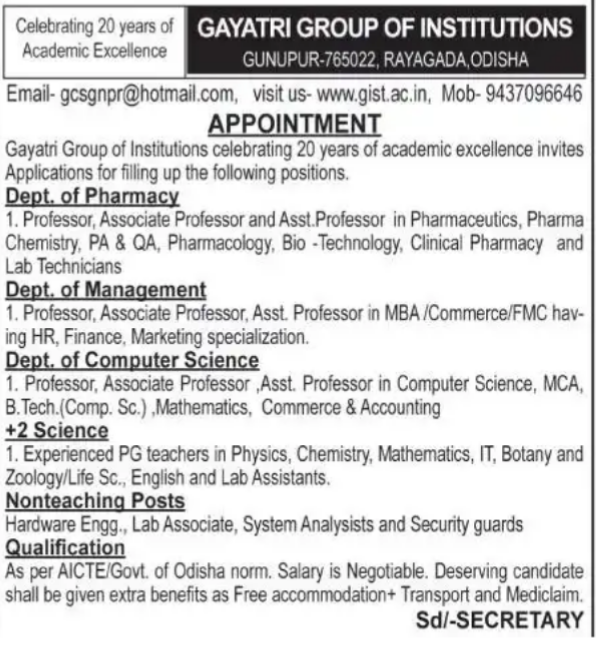 Name of the College : Gayatri Group of Institutions, Rayagada. 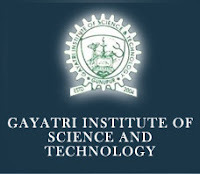 About College: Gayatri Institute of Science and Technology, one of the fastest growing Technical Institute to impart B.Pharm and M.Pharm studies. It is one of the top most growing college in Southern India. The Institute with eminent faculty and excellent infrastructure invites students from different regions of our country to pursue their study and project work. This institute has been established in the year 2004 under ISA trust in a socially and economically Back word area. The Campus is spread over 20 acres of land a midst naturally flora and fauna. This area is free from communal tension and Industrial pollution. The institute is situated on the Gunupur-Paralakhemundi state high way just 5 km distance from Gunupur in the industrial District of Rayagada. As per AICTE/Govt of odisha norms.